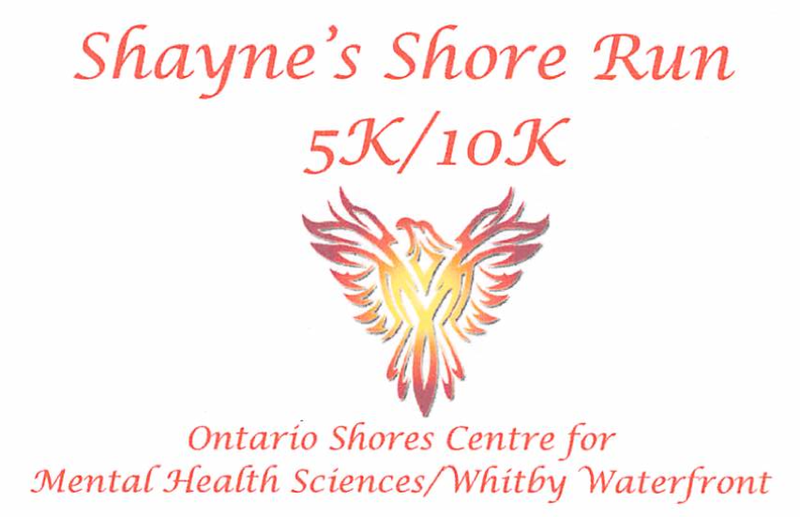 Shayne's Shore Run with your HELP is raising funds to support ONTARIO SHORES OUTPATIENT TRANSITIONAL AGED YOUTH (TAY) CLINIC. One in five Canadians (20%) will experience some form of mental illness in their lifetime. The onset for most mental illnesses (70%) emerges during the adolescent - young adult years. There is a growing need to increase the awareness and reduce the STIGMA associated with adolescent and adult mental illnesses, as well as improve the accessibility for treatment for families and individuals seeking the help they need when they need it. Ontario Shores has identified child and youth mental health as a key priority for future growth and their specialized services have been overburdened by a surge in referrals. The TAY Clinic was developed to meet the needs of youth 16 - 24 years of age, to intervene early, to provide appropriate navigation and support and provide options other than SUICIDE. With an increase awareness in SUICIDE PREVENTION, treatment options and shorter wait lists it is possible to make a difference and save a life. Had TAY been in existence when our 17 year old son was told he had "aged out of the adolescent" program and there was nothing more they could do for him, perhaps his life would not have ended so soon or so tragically. Up to 8 family members to the team. Friday April 12th - 6:00 P.M. to 8:00 P.M.
Saturday April 13th - 11:00 A.M. to 3:00 P.M.